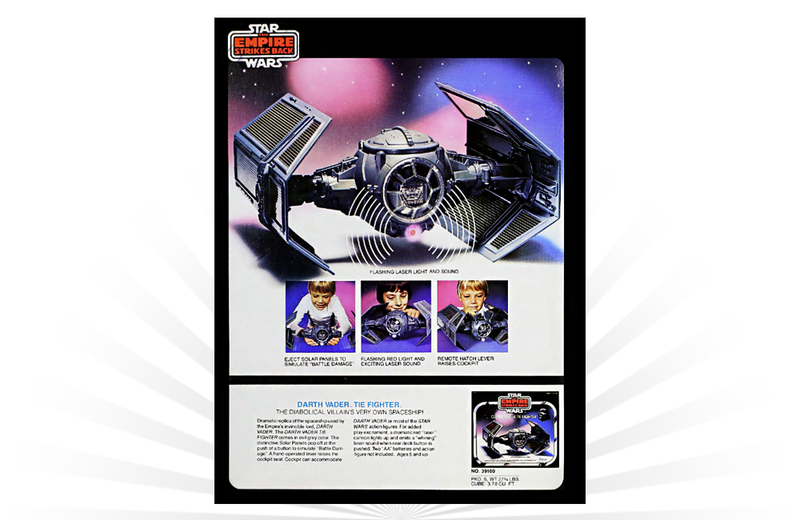 Released in 1979 from Kenner, the Darth Vader TIE Fighter was a modified version of the company’s original TIE Fighter vehicle replica from the movie Star Wars. 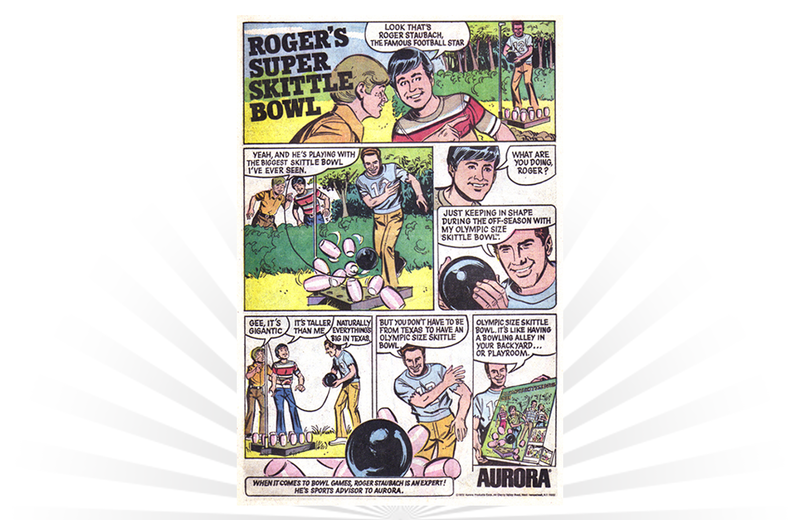 What would you get if you combined bingo with music? 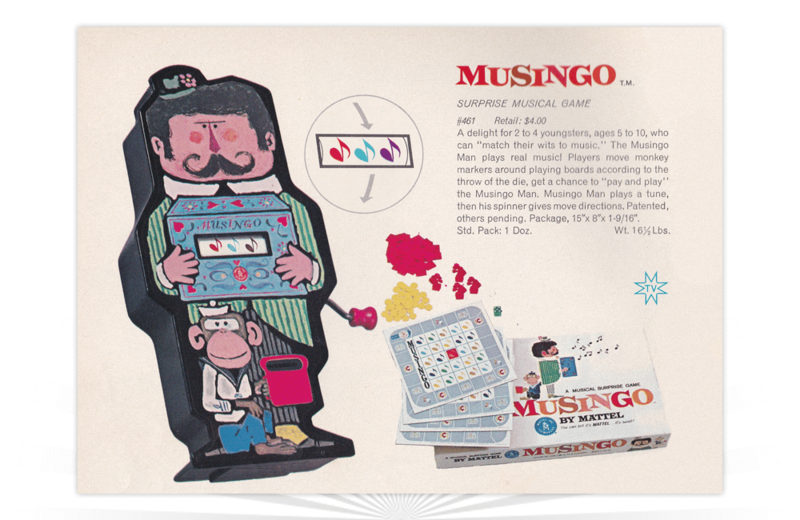 Musingo, the “surprise musical” game from Mattel! 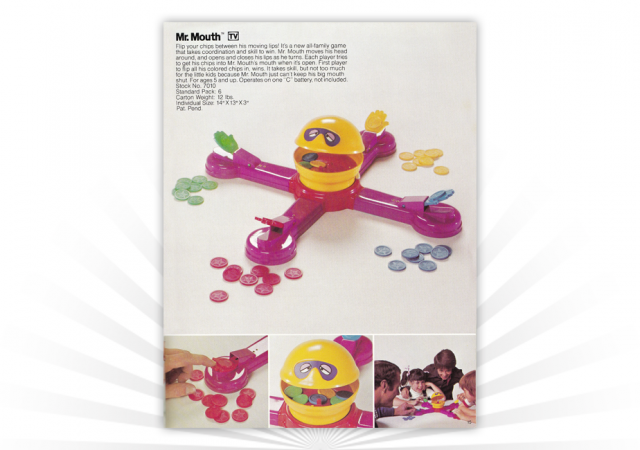 Enjoy this vintage commercial for Lionel Trains n Truckin’ sets starring Johnny Cash. 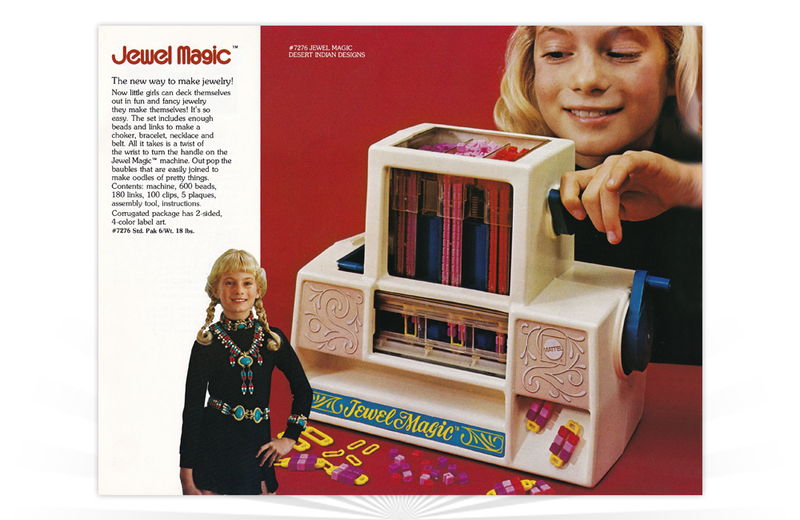 When loaded with beads, Jewel Magic produced “oodles of baubles ‘n bangles” at the turn of its handle. 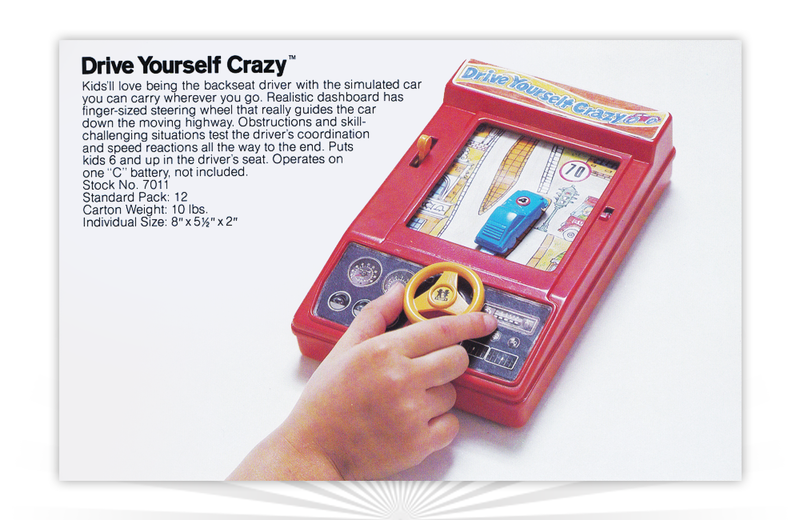 Tomy’s Drive Yourself Crazy handheld game put kids ages 6 and up into the driver’s seat. 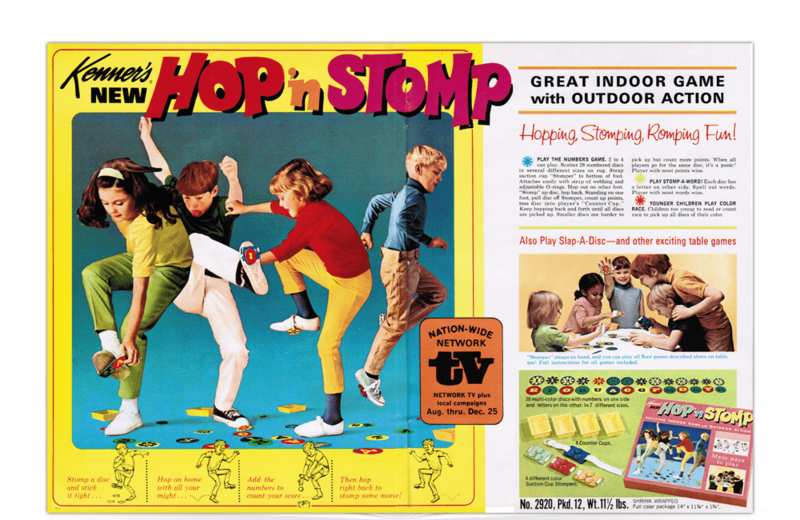 The Hop ‘n Stomp offered kids an “indoor game with outdoor action.” After all, we could all use a little “hopping, stomping, romping fun” from time to time! 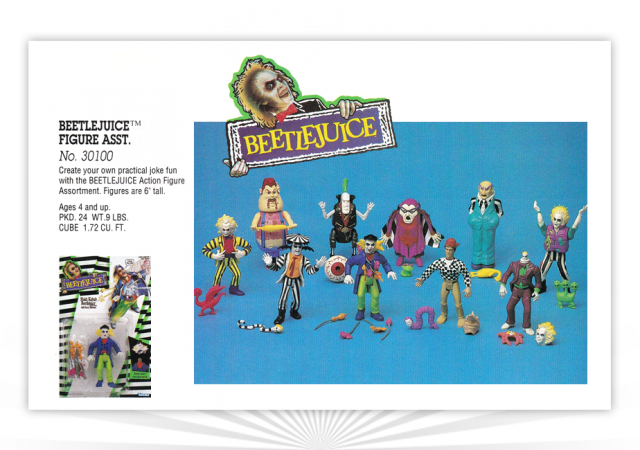 From 1989-1990, Kenner released a series of 6-inch Beetlejuice action figures that tied into the Tim Burton movie starring Michael Keaton. 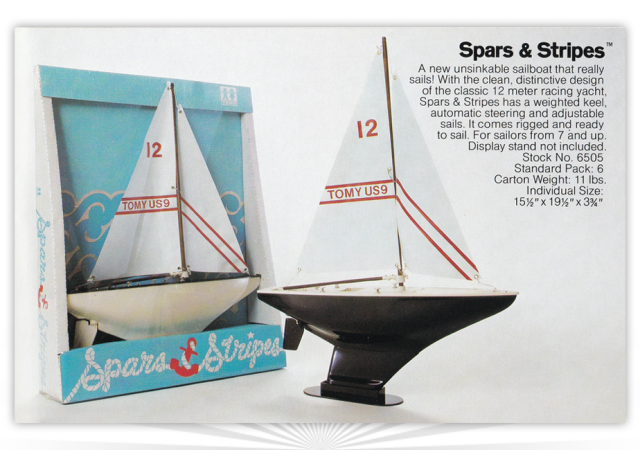 Released in 1976, Tomy’s Spars & Stripes was a new “unsinkable” sailboat that actually sailed.